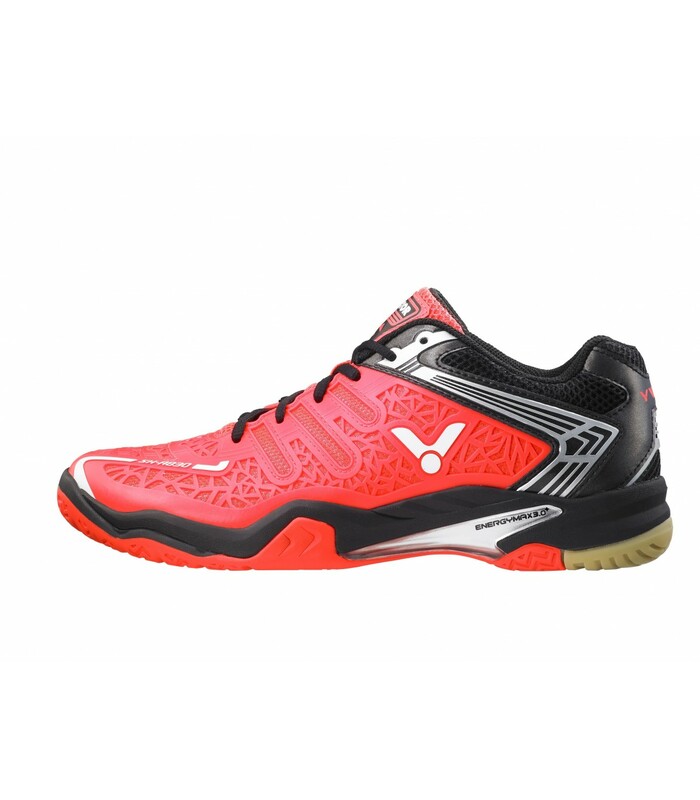 The Victor SH-A830-OC red squash shoes will give you a sporty and dynamic look on the squash court. This pair of squash shoes is the official shoe chosen by Miguel Rodriguez. 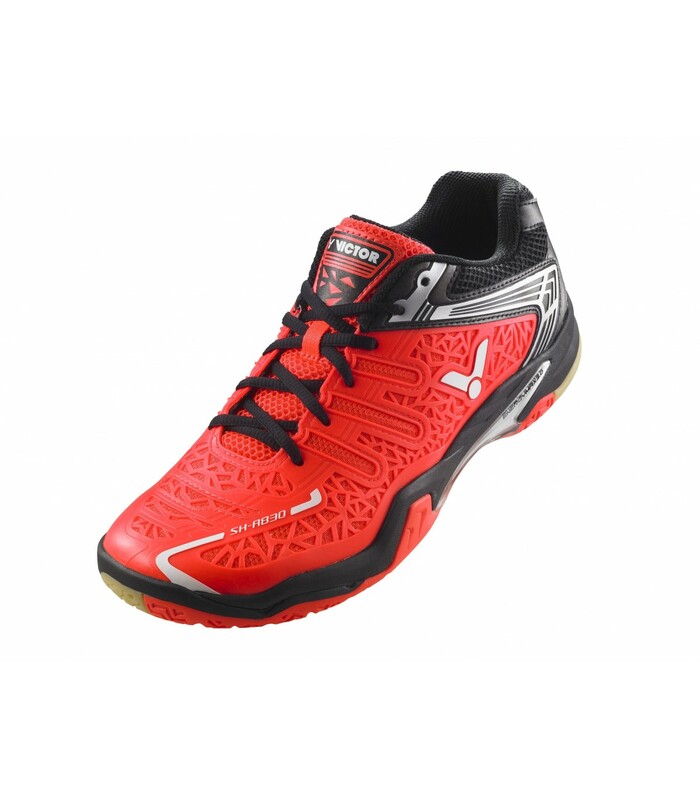 In addition to the dynamic look, these high quality squash shoes offer you an optimal comfort and exceptional playing conditions with their design, lightness and technologies. These squash shoes are both light and resistant. They keep your foot perfectly while promoting natural movements. They are both padded but allow a good breathability. 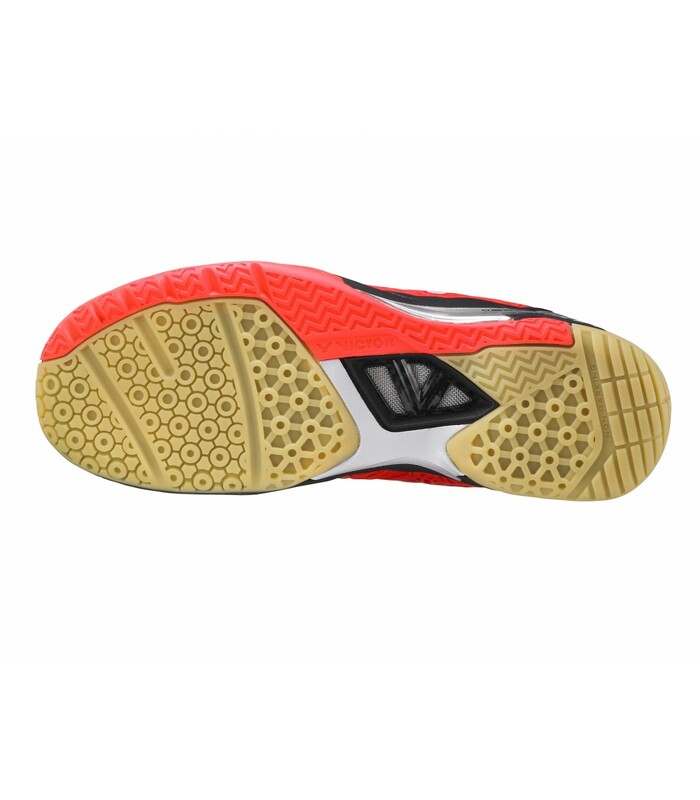 The non-slip sole allows you a good adherence and a good grip. 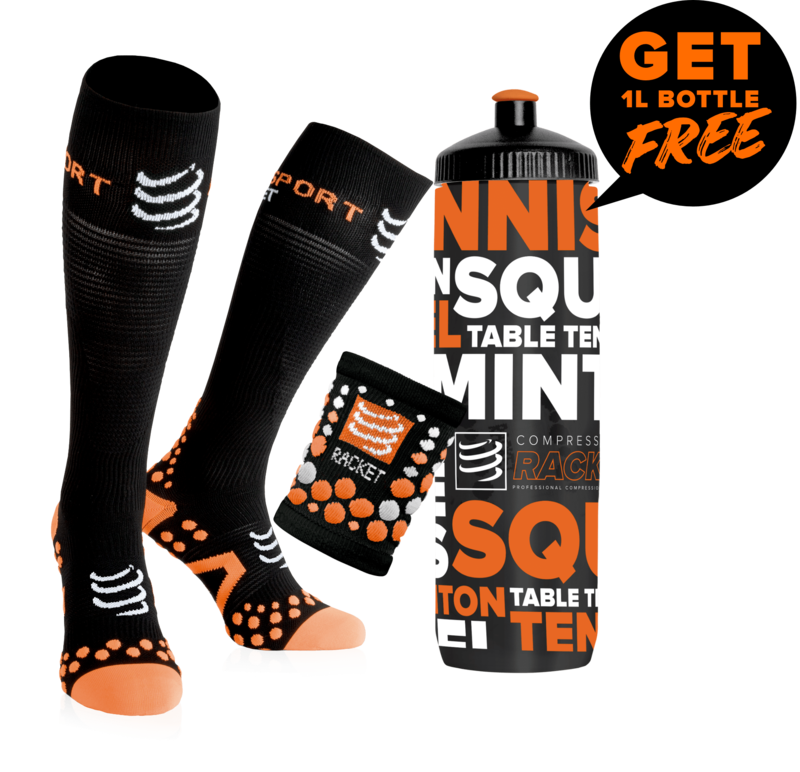 The materials used combined with the different technologies of these men's squash shoes allow a greater shock absorption. 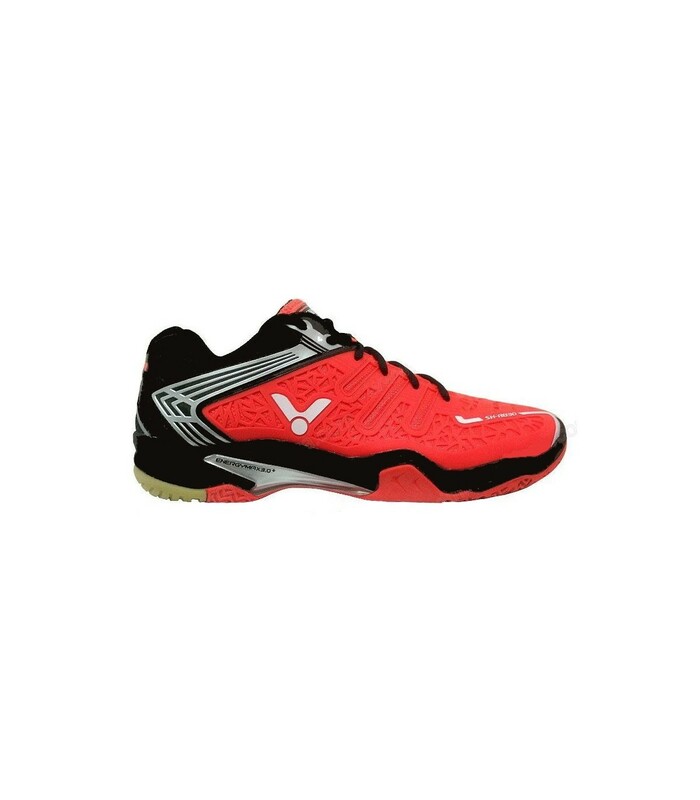 The Victor SH-A830-OC red men's squash shoes have been designed to give you complete satisfaction and allow you to play under excellent conditions.